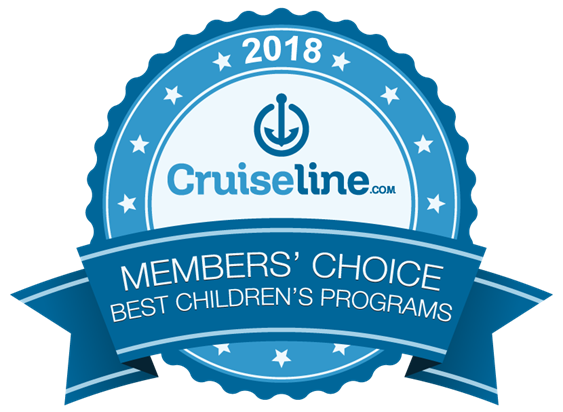 Carnival Cruise Line, the number one cruise line for families carrying 800,000 kids a year, earned Best Children’s Program, while Carnival Fantasy was named Most Improved Ship in Cruiseline.com’s annual Members’ Choice Awards. The awards are best on feedback from Cruiseline.com readers who are asked to rate cruise lines in a variety of product- and service-related categories. Carnival earned Best Children’s Programs honors for its popular family-friendly offerings which include fun, supervised programs for kids in three age groups – Camp Ocean (2-11), Circle “C” (12-14) and Club O2 (15-17) – along with its exclusive Seuss at Sea program operated in partnership with Dr. Seuss Enterprises and expansive water parks fleetwide. The line’s ships also feature all-ages activities like Hasbro, The Game Show with larger-than-life adaptations of the company’s iconic games, family-friendly comedy shows at the Punchliner Comedy Club, 24-hour pizza and ice cream in its Lido restaurants. Carnival Fantasy was named Most Improved Ship for its wide variety of onboard offerings that were added during dry dock, including Guy’s Burger Joint developed in tandem with Food Network star Guy Fieri, the Mexican-themed BlueIguana Cantina serving authentic tacos and burritos, and the poolside RedFrog Rum Bar and BlueIguana Tequila Bar. Carnival Fantasy operates four- to eight-day cruises from Mobile, Ala., visiting popular destinations throughout the Caribbean, The Bahamas and Central America.